Sophsterlicious • UK Blog: Smile Brilliant Review + Giveaway. I was recently sent a teeth whitening kit from Smile Brilliant to try out and give my thoughts on it. Now, I have never whitened my teeth before, other than with toothpastes and stuff.. I am the sort of girl who wants a Hollywood smile (Simon Cowell Stylee) so I wasn't going to turn down the chance to try a whitening kit out. Everything above comes in the kit and it is so easy to use. 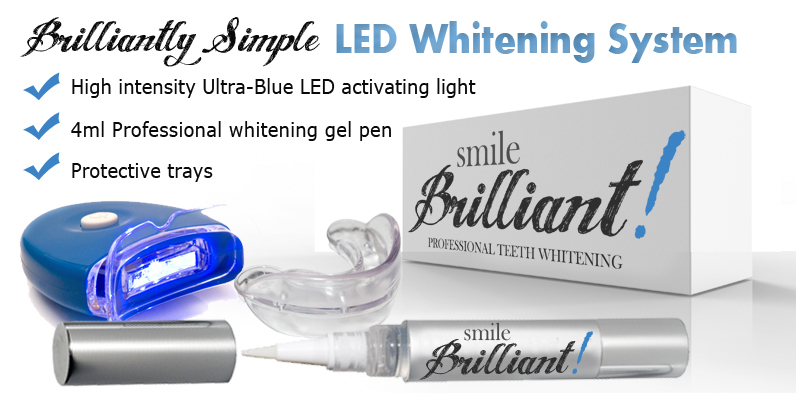 The LED light works with the whitening gel to help brighten your smile. 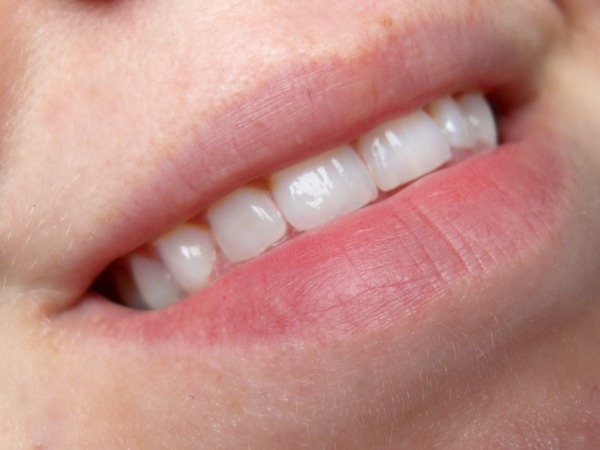 You ust paint the gel onto your teeth, put in the mouth guard, and then place the LED light in your mouth. (I did photograph this, but I opted out of putting it here, it is not an attractive sight. You wait for 20- 30 minutes and then you're done. I always promised myself I would do the 30 mins, but I just couldn't handle it, your mouth gets a little.. er, dribbly after about 15 mins. Haha. Each time I have used this I have noticed a subtle change in the shade of my teeth, my boyfriend agreed. But I think with each extra use they get brighter and I think without being a drastic change my teeth now look rather bright and a nice shade. I'd still like to bleach them someday, but this is great and very reasonably priced for the timebeing. I stupidly never took any before pics. My teeth were not greatly discoloured, but they weren't super white either. Now I feel they look a nice healthy, clean shade! My Teeths After 4 uses. Check out the Smile Brilliant website where they sell a range of products (use code Smile20 for 20% off), and they also have a Facebook Page. If you'd like to win one of these kits to try for yourself. That's it. Thank you all for reading! Let me know your best teeth whitening tricks! My favourite posts are reviews. I love reviews - they're really helpful! I am desperate to try this! I know everyone else has said it, but I really do appreciate reviews of products, as I trust bloggers opinions more than advertisers! Oooh I'm really interested in this, I'm always trying to get my teeth pearly white. I love skincare reviews I find them so interesting. Fab review and giveaway - you don't see these often! Nice to be different! Review posts, and I would love to see some hair styling ideas!